Cheshire Schools' Football Association is affiliated to the English Schools' Football Association. 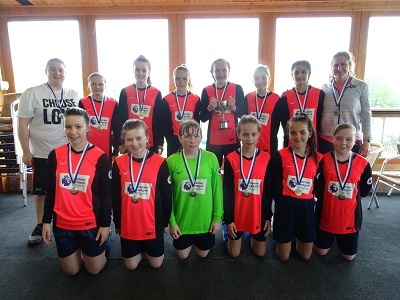 The objects of the Association are the mental, moral and physical development and improvement of schoolboys and schoolgirls through the medium of Association Football. The Association is made up of seven district associations: Chester, Ellesmere Port, Halton, Macclesfield & District, South Cheshire, Vale Royal and Warrington. Ava Suckley (Bishop Heber High School) has been selected for the Wales FA U17 squad for 2018-2019. Safia Middleton-Patel (Bishop Heber High School) has been selected for the Wales FA U15 squad for 2018-19. Well done, Ava and Safia - a wonderful achievement! If a parent or player has any concerns relating to child welfare issues, contact in the first instance should be made with the Cheshire Schools FA Secretary. Please note that the FA has set up a 24 hour helpline in conjunction with the NSPCC: 0800 023 2642. Contact can also be made with Childline: 0800 1111. THANK YOU TO OUR COUNCILS! 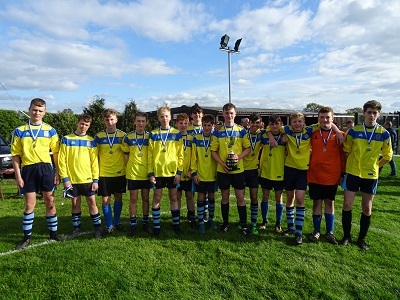 Cheshire Schools FA is indebted to three of our councils for their valuable financial support for our cup competitions: Cheshire West & Chester Council, Halton Council and Northwich Town Council. THANK YOU TO OUR SPONSORS FOR 2018 -2019! CONGRATULATIONS TO ALL OUR COUNTY CUP COMPETITION WINNERS 2018-2019! CONGRATULATIONS TO ALL OUR COUNTY CUP COMPETITION WINNERS 20172018!